1. How to Choose the Best Betting Site? What to Consider When Choosing Australian Betting Sites? With a plethora of options on the internet, the range of choices in online sports and betting sites make it difficult for Aussie Punters to decide which betting site to use. The choices are vast. With so much information available, many people endlessly search for the best sports betting websites to go with. AFL, NRL, Rugby, Horse Racing and Cricket are the most popular sports that people usually bet on in Australia and are what most of the Aussie online betting sites focus on. However, there are a number of other sports like European and Australian Soccer, NFL, NBA, Golf, MMA, UFC, and eSports which people also love and enjoy betting on. Are you interested in betting only one time, on a special sports event for example, or more than once. Are you interested in several sports types or devoted only to one? Are Those sports common in the betting markets? Not all sites cover each sport. If you know you are interested more than one, BettingTop10 advises sites like 22bet that carry a wide range of sports. Different sites have different betting specialties. For example, 22bet offers a wide range of eSports betting options that other sites do not. However, a different betting site such as BetStar, for example, may not have the wide range, but better odds for a stand-alone big eSports event like the Overwatch World Cup. We advise which sites are the best for each sport, both in terms of their range of betting options and the odds available. We also recommend to punters looking to maximise their winning options across the widest range of sports to join several of the different sites to give themselves the most opportunity to win big. Being as informed as possible will enhance any sports bettor’s potential to win more frequently. Tipping information is often provided free by the online betting sites. However, not all information is good information. We cut through the overload of information and advise you with the best tipping services available and provide you with a range of the best tips each week. As you gain experience, in-play betting may increase your chances of winning, just like using a tipster. Under Australian law, live betting over the internet is considered illegal, however, we advise which of the larger sports betting sites offer an automated telephone betting service to accept live bets, such as Bet365’s BetCall service and others. The fast action and ability to pull-out of a losing-bet to cut your losses and protect your bankroll makes in-play one of most exciting forms of sports betting. To make it in the modern world, a betting site needs a quality betting app that you can use to access all of a betting site’s features and functions easily, quickly and painlessly. In general, do you use the internet more via you desktop computer or your mobile? Will you tend to bet more on the go or from your home and office? Online betting sites are now designed using ‘mobile-first’ HTML technology, which means the sites are designed to actually offer more functionality on smartphones and other mobile devices than PC’s. If a betting site’s technology is not up to scratch, even if you think you won’t bet via your cellphone,we shall advise you that it’s best avoided. To make your user experience as stress-free as possible, let an expert help you decide how and where to enjoy your best sports betting experience. Take the advice of an unbiased online betting site reviewer. An unbiased advisor like BettingTop10 only lists the top sites that have passed all the tests, and stands implicitly behind any online betting site review to promise you a great online gambling experience. At BettingTop10, we’ve created the ultimate online betting guides for Aussie punters, complete with reviews, betting sites, tips, odds and predictions. 1. 22Bet – Join Today! New to the Australian sports betting market is 22bet, a user-friendly online sports betting site established in Europe in 2017. 22bet is one of the most unique betting companies in the landscape as they offer wide markets on eSports, in addition to a wide range of the best in Aussie and worldwide sports. Odds and betting on multiple eSports categories are all available; such as League of Legends, Call of Duty, Dota 2, Fortnite, Rocket League and many others. Another key unique feature at 22bet are the virtual sports offerings. You can bet on a number of virtual sports markets, including Soccer and Racing events, just to name a few. With other interesting betting features such as Casino games and Live Dealer Casinos, this online betting site is one to watch over the coming years. 2. Betstar – Join Today! BetStar is one of three Australian bookmakers owned by UK gaming giant Ladbrokes Pty Ltd, providing you the assurance of betting with one of the world’s most reputable online betting site experts. The slick BetStar website design makes for efficient browsing, allowing you to transition seamlessly between different sporting, racing and novelty options. The BetStar card allows punters to access their winnings at any ATM. BetStar uses the same web interface and features as both its sister sites, Bookmaker and Ladbrokes, meaning you are assisted by their revolutionary ‘Quickbet’ feature, the fastest method of online betting available on the Aussie market today. 3. Ladbrokes – Join Today! Ladbrokes has quickly become the premier sports betting site for Australian punters. The Ladbrokes Australia website was designed by punters, with the Aussie punter in mind. Ladbrokes intuitive design makes it simple to navigate from sport-to-sport on the site, and you can easily find the game you want or race to bet on in no absolutely time. Your betting slip is prominently displayed on the homepage to easily track your bets, and the great selection of sports and races to bet on, with great odds and multiple markets make Ladbrokes a market leader. 4. Neds – Join Today! Neds is one of the newest online betting sites on the scene in Australia and it’s packed with unique features to customise your sports betting experience. Neds special betting promotions on both racing and sports are updated on a regular basis (almost every day of the week). Promotions regularly include enhanced odds and multi-pick specials throughout the week. If you’re a Gold Coast Titans fan, back your team with Neds, (the NRL club’s naming rights sponsor) and get the guaranteed best odds on the Titans every week. Racing punters will especially enjoy betting at Neds with their unique racing features including; price boosts, increasing the odds during the race and much more. With new and exciting promotions always in the pipeline, Neds is recommended for punters looking for a personalised, promotion-heavy betting experience. 5. Unibet – Join Today! 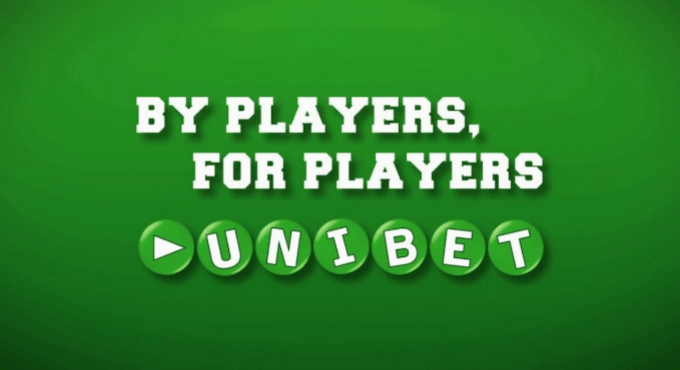 Unibet was founded in Malta as part of the world-famous Kindred Group of online casinos and sports betting sites back in 1997 and is now one of the most popular global bookmakers with over 6 million registered users worldwide. In Australia since 2012 after purchasing Betchoice, Unibet are currently registered in the Northern Territory, and have quickly established themselves as approved gambling partners of several major Australian sports leagues, such as the AFL, Cricket Australia, PGA Australia and many more. 6. Beteasy- Join Beteasy Today! BetEasy was formed in mid-2018 when William Hill and CrownBet merged, combining two of the most popular Australia betting sites into one mega online betting site. As a result, the list of betting features at BetEasy is vast and you’ll find whatever sport you are looking to bet on here. One of the best features of BetEasy is the live streaming options, such as the Sky Racing channels (1 & 2) and NBA games during the season. In addition to being the official online betting partner of the AFL, BetEasy offers a massive range of sports or racing betting promotions to assist you in winning win more, more often. With live betting, multi express and an impressive mobile app, BetEasy is a great choice for seasoned punters and beginners. Sign up today! Bet365 upgraded their website from a Flash site to HTML 5 technology in 2016, improving the speed and reliability of the page, loading rapidly on any smartphone, PC, or other mobile device. Bet365 stands out from other online betting sites with the huge amount of statistical analysis they provide for punters on each match and race to make an informed choice. 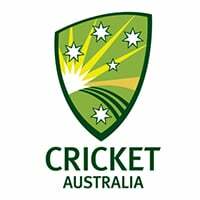 For Aussie punters, there are a wide range of available options, such as Cricket betting, AFL betting, NRL betting, Rugby betting and all the very best in global betting markets. While you can’t place live bets online during the game, Bet365 provide a BetCall feature which allows you to phone in your bet live during matches. How we Review Online Betting Sites? Nowadays we can do almost anything when connected to the internet. We can work, shop, transact business, and even place a bet on a horse race without leaving our sofa. In order to place wagers, you need to open a betting online account with a licenced-and-regulated Australian bookmaker. Just as you would not trust your banking or book your flights with an unlicensed bank or airline, it’s wise to use only licensed-and-regulated online betting sites. But how to tell the good sites from the bad? At Betting Top 10 Australia, we only recommend online betting sites for you that comply with the standards of the Federally-registered Interactive Gambling Act 2001 that provide their customers with Quality Australian-based customer service. Protection from illegal offshore sites. Provide customers with problem gambling advice if required. Security is one of the most important aspects when reviewing the best online sports betting sites for Australians. We only recommend online sports betting sites that are SSL-encrypted for the protection of personal information. Furthermore, we double check the payment methods and procedures, and confirm that no data is shared with third parties. Online security is of utmost importance, especially when it comes to depositing and/or withdrawing funds into/out of your account. We will advise if the online betting site uses 128-bit or 256-bit digital encryption (like that used in banks and big online companies like Amazon, Qantas, Virgin, AirBnB or Uber) for your peace-of-mind and financial-and-data protection. Reliable-and-helpful customer support is an important consideration when assessing an online sports betting site. A high overall standard of customer service is provided by most online betting operators. Most provide live chat and phone support 24/7/365. If they don’t, we’ll let you know in our review. Many online betting sites also provide an additional customer support channel, ranging from extensive FAQ’s sections on their site, pre-filled individualised contact forms, or even Skype support. Should an online betting site drag-their-feet with payouts, or their customer service is unfriendly-or-inefficient, we’ll let you know. Most importantly, we’ll advise which online betting sites offer the best customer service. Not all betting sites are created equal in terms of their betting markets and odds. For example, some online betting sites offer better odds for AFL and not so great for NRL betting options. Others may have a huge amount of betting options; however, the odds may be a little worse than some other Aussie betting sites. Some betting sites only offer better markets on the sports that they specialise in. We will let you know the specialties of each betting site. As a part of that service, we advise people to sign up with several different betting sites if they are looking for the best odds to complement a complete sports betting experience that encompasses the best in Aussie and international sports from traditional staples like AFL, Cricket and NRL, through to more modern and international options like betting on UFC, MMA, Boxing, Golf and eSports. At BettingTop10, we know how tricky it can be to choose your first online sports betting site. You simply want to bet, have some fun and perhaps win a little money. The last thing you want to do is have to worry about deposit options or security. Our Bookmaker reviews are designed to take that worry away. We have personally reviewed them all and we know that when you choose to place your online sports or racing bets, you can’t go wrong with our selections. Our comprehensive online sports betting site reviews will assist you in finding the best betting site for you. Enjoy, have some fun and win a few bucks along the way – happy sports betting! Betting sites offer so many different kinds of promotions; it can be a bit overwhelming at times. At BettingTop10 we’ve reviewed the promotional offers and have recommended only the best choices. The promotions can range from a special, which may be based on a specific AFL, NRL match, or standalone major horse race, to a long-standing seasonal promotion. Select the match or race to bet on. Note the several betting options and decide which kind of bet you’d like to make. If you’re interested in betting on more than just a winner or loser, click on the link that says how many available markets the bookmaker is offering on that match to view all the betting options. Once you’ve made your selection, you’ll typically be asked to confirm the bet. You can keep track of your bets by following on your Bet Slip, which is usually located on the right side of the screen. Depositing money in your betting account is one of the most important things to get right when you begin sports betting. It’s a no-brainer. Without any money in your account, you simply won’t be able to win any money. There are a variety of accepted payment methods offered by Australian bookmakers, and just because one method, like MoneyBookers, is accepted at Unibet AU doesn’t mean it accepted by Ladbrokes etc. The most common accepted methods are Visa, MasterCard and PayPal accounts – These transfers are typically instant, but have smaller transfer limits. Bank Transfers allow for a larger transaction, but will typically take several business days to complete the transfer. 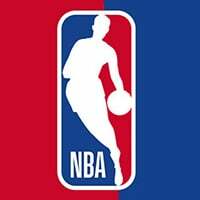 Whether it’s the home-and-away season, the finals or the World Championship, sports gambling should be a fun and entertaining way to enhance your enjoyment of sporting events, and depositing and withdrawing should best be done easily and not become a headache. At BettingTop10 we’ll help you find the best online betting sites in Australia that will provide speedy deposits and fast withdrawal times to claim your winnings. And remember; always gamble responsibly. Since we encourage fair & responsible gambling, If betting becomes an issue for you, you can turn to various gambling support services including Lifeline and Gambling Help Online for help. Betting sites: Canada, UK, Italy, Spain, Ireland, South Africa, Thailand, Vietnam, Japan, India, USA.